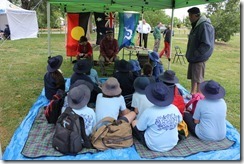 Stories From Country was a cultural story telling event auspiced by the SRCMN. 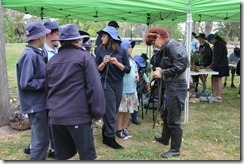 It was held on the banks of the Sevens Creek at Euroa on the morning of November 11, 2013. 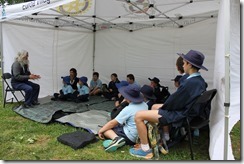 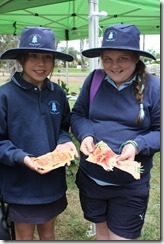 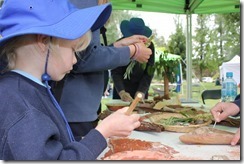 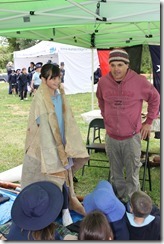 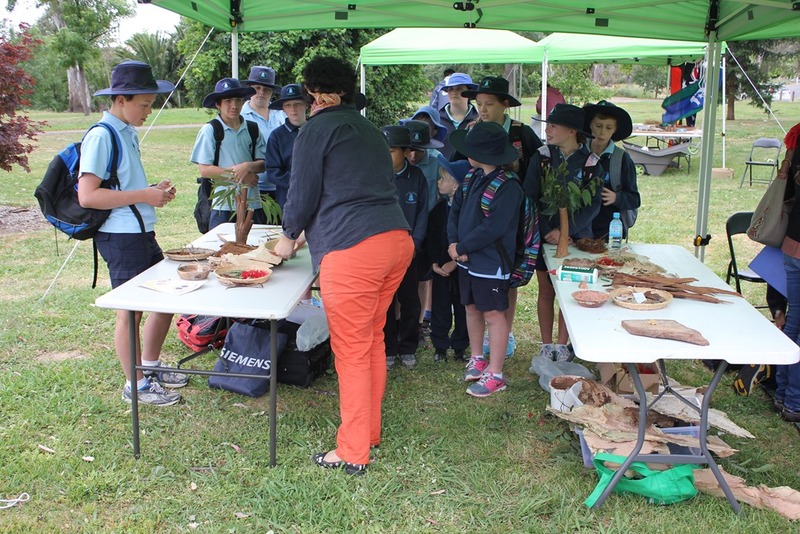 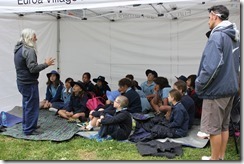 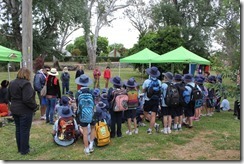 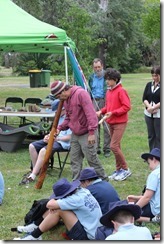 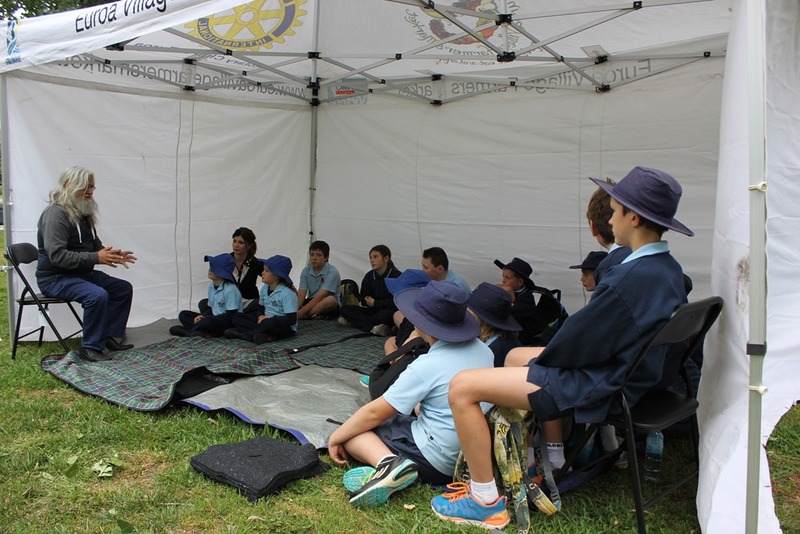 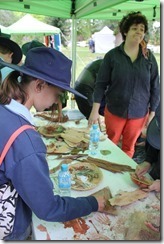 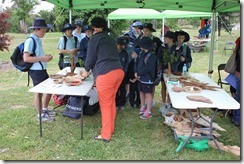 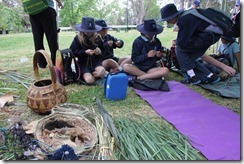 More than 50 students from Euroa and Longwood Primary Schools took part. 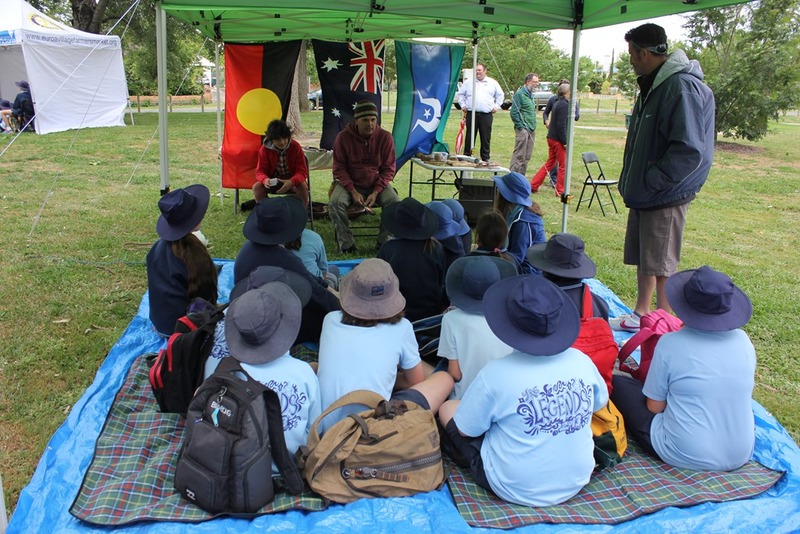 Taungurung Elder Uncle Larry Walsh, Isobel Morphy Walsh and Wamba Wamba man Ron Murray held the young audience spellbound as they shared rich and colourful stories about an ancient land and the spiritual bonds that connect people with country. 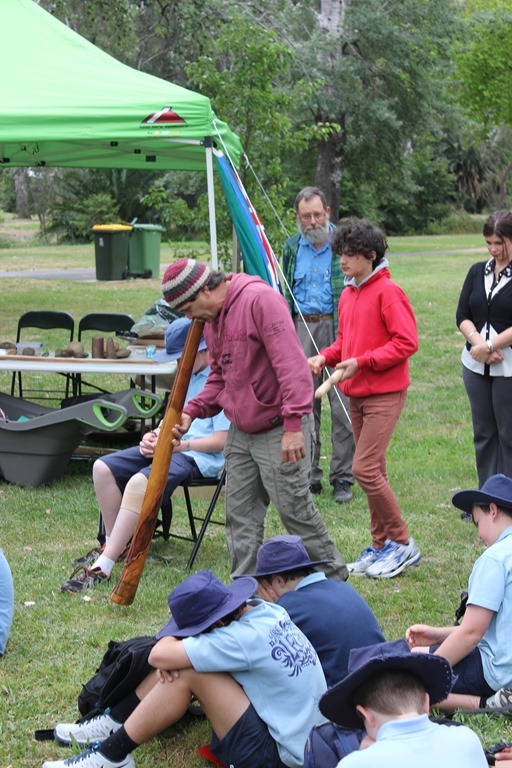 After a moving speech by Uncle Larry about the significance of Remembrance Day and an acknowledgement of the indigenous soldiers who also lost their lives during two World Wars Ron Murray performed an emotional didgeridoo musical tribute. 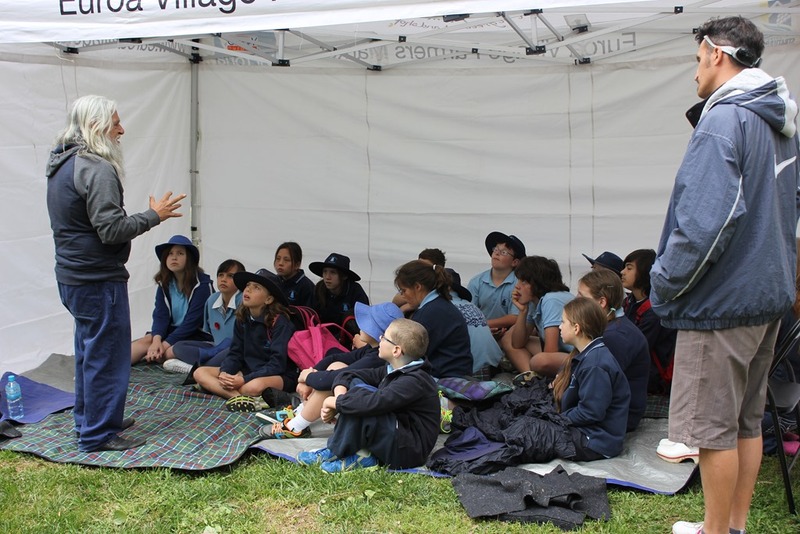 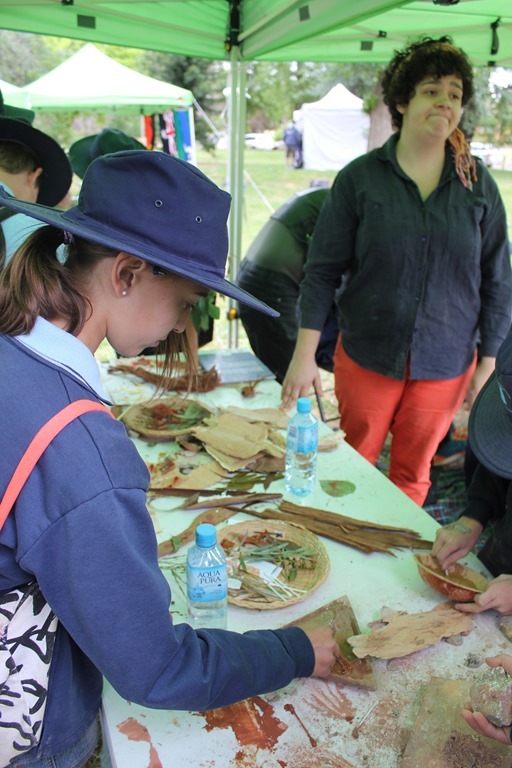 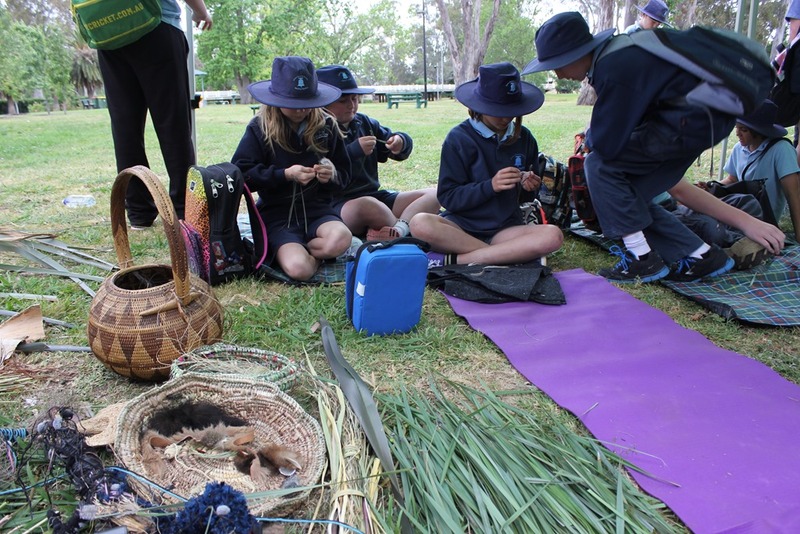 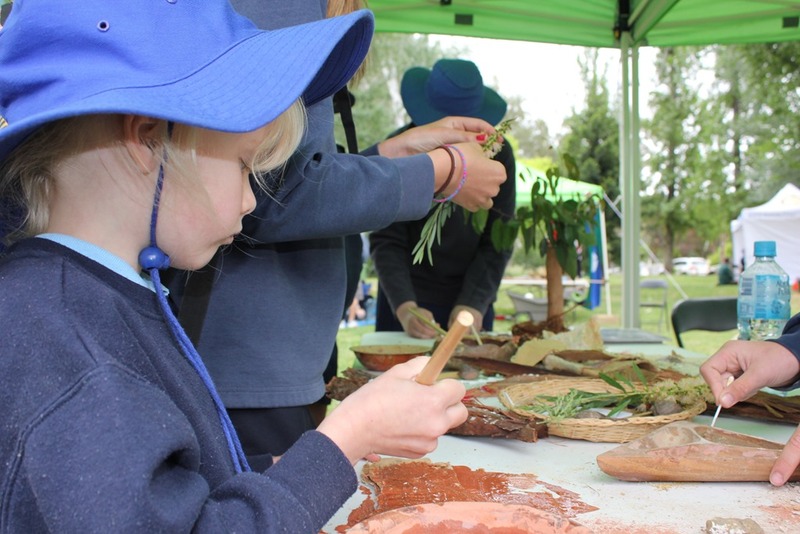 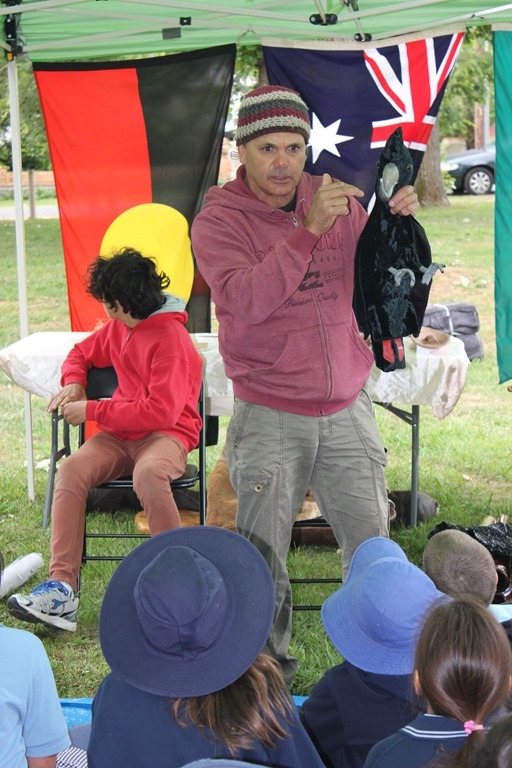 In addition to the story telling workshops Vik Morphy Walsh set up a popular weaving activity area where local indigenous plant materials were used to make string. 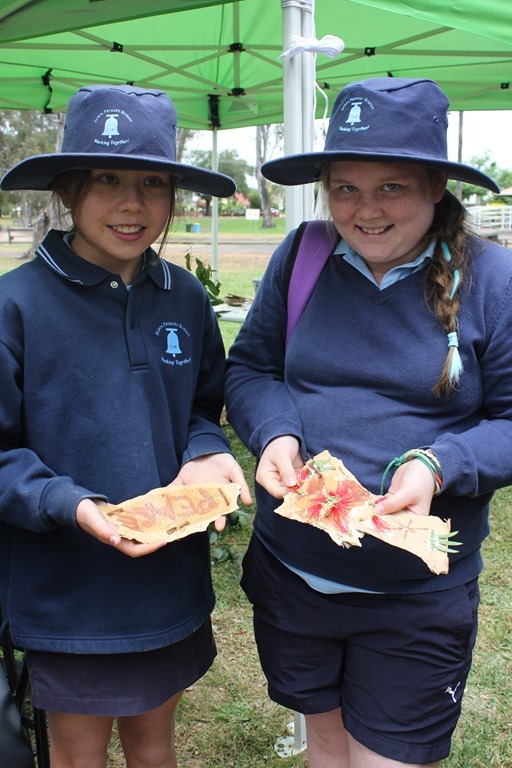 In the weeks following the Stories From Country event the Euroa Primary Grades 5/6 under the guidance of teacher Pauline Fraser produced a large format book containing a series of beautiful and inspiring original artworks in response to the stories remembered. 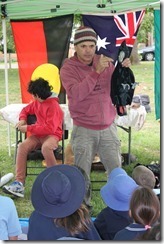 The book has been displayed in the Euroa Library and will remain part of the archive of the SRCMN. 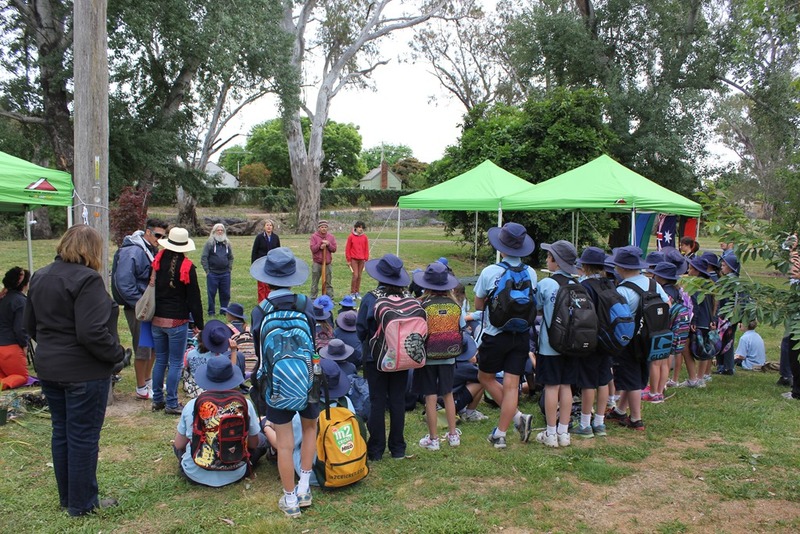 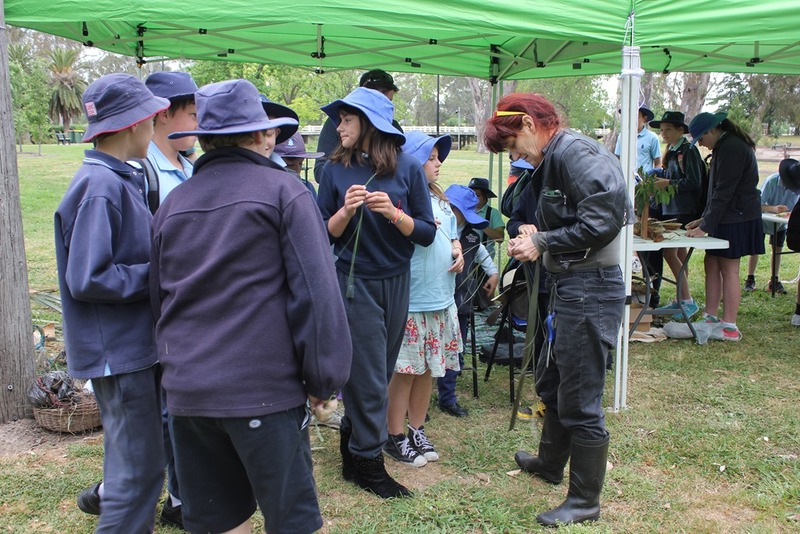 The event was supported by a project grant from Strathbogie Council together with generous contributions from the GBCMA and the Euroa Environment Group as well as in kind support from the Euroa Arboretum.